love, love, love 'em! 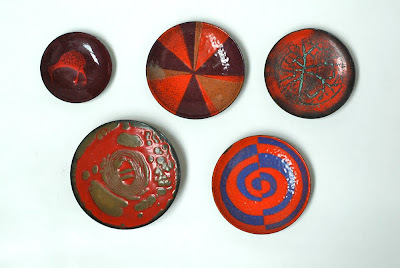 Enameling metal discs is soooo much fun. These designs and colors are so captivating! If you collect other colours of enamel I found this lovely little dish. If any are signed by Pearle Godfrey - Hildebran NC that is my aunt's!